MP CANNED FOOD LIMITED is importing canned food (meat products and ready meals) from Estonia to the United Kingdom. Unique products like "Wild Boar In Its Own juice", "Elk In Its Own Juice" and "Venison In Its Own Juice" are hard to find in the United Kingdom. 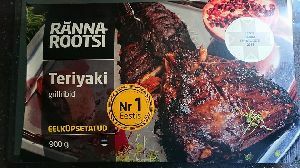 We are selling "Rannarootsi" and "Frank Pott" brands. Business Markets : England and Wales in the United Kingdom.